E-mail information about upcoming events to news@cannoncouier.com or call 615-563-2512. MAROON & GOLD NIGHT: Cannon County High School Basketball will hold its Maroon & Gold Night on Saturday, Nov. 7 at Cannon County High School. Chili supper from 4-6:00 p.m. in the cafeteria. Player introductions will be at 6:15 p.m. Alumni Games begin at 6:30 p.m. $6.00 for meal and games. $3.00 admission to games only. LIONS PEP RALLY: The Lions Boosters Club is planning a pep rally at the Courthouse Square Thursday night at 7 p.m. and encourages the community to come out and show their support for the Lions football team in their playoff game Friday against Harpeth at CCHS. About 2 miles from Wal-Mart off John Braggs Hwy. Lots of families donated so we have lots of great item to sell. LIONS PECAN SALE: The Woodbury Lions Club will kick off their annual Pecan Sale on Nov. 9. This year there will be pecans (halves and pieces), walnuts, fruit and nut mix, cashews and granola mix. All will be available at the following locations: Jennings Jewelers, Vance Bros. Car Lot, Bromley-Jennings Car Repair Shop, Rite Aid Pharmacy, Cutting Edge Salon, Bobby Smith’s Office, Cannon County Senior Center, Dr. Trea Wessel’s Office, First Bank, Paul Reed’s Furniture Store, First National Bank, Stones River Hospital, Regions Bank, Woodbury Funeral Home, Woodbury Nursing Center, Woodson’s Pharmacy and any Lions Club member. CHRISTMAS BOUTIQUE: Regardless of whether you’re looking for the perfect gift for someone special or just need to get your holiday shopping started, look no further. Featuring the works from over 25 area artists who specialize in unique handmade arts and crafts, the Annual Christmas Boutique is the place to shop for unique stocking stuffers, fine handmade creations or a one of a kind masterpiece. Join us for the 2nd annual “Meet the Artists Christmas Boutique Sneak Peek” on Thursday, Nov. 5th at 6:30 p.m. The Annual Christmas Boutique will be open before and after shows or anytime from 10 a.m. until 4 p.m. Monday through Saturday Nov. 6 through Dec. 19. VETERANS MEETING: The Veterans and Concerned Citizens for Veterans of Cannon County will meet at the Senior Citizens Center on Lehman Street next to the Veterans Memorial Gymnasium in Woodbury at 6:30 p.m on Thursday, Nov. 8. A Veterans Day program will be held Nov. 13 at Cannon County High School and a Veterans Day Parade on Nov. 14 will take place in Woodbury. SCHOOL MEETINGS: The Cannon County Board of Education will have their regular monthly workshop on Tuesday, November 10,2009 at 6 p.m. at the Central Office in the Board room. The Regular Board meeting will be on Thursday, November 12, 2009 at 6 p.m. at West Side School. PLANNING MEETING: The Woodbury Planning Commission will meet in regular session Tuesday, November 17, 2009 at 6:00 p.m. at Woodbury City Hall. The meeting is open to the public. CAR SHOW: The East Side Beta Club Car Show will take place Saturday, Nov. 14 at East Side School. Registration begins at 9 a.m. and judging will be at 1 p.m. Rain or Shine. $6.00 Meal Ticket includes Prater’s BBQ or Hot Dog, chips, dessert, drink. 30 trophies will be awarded. Entry fee is $20. 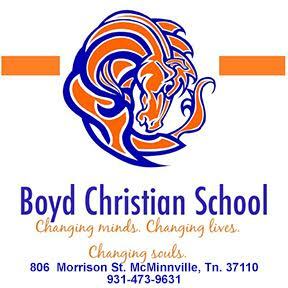 BETA FUNDRAISER: The Woodland Beta Club will hold a Turkey and Dressing Dinner Fundraiser Sunday, Nov. 8th from 11 a.n. to 2 p.m. the Woodland Elementary School Cafeteria. Dinner - $8.00 for ages 5 and up. $5.00 for ages 5 and under. Price includes meal, drink, and dessert. Take out is available. Tickets can be prepurchased from Woodland Beta students, Woodland Beta Sponsors, or can be bought the day of the dinner. COUNTRY BREAKFAST: There will be a Country Breakfast and Indoor Yard and Bake Sale at Grace Assembly of God at 2999 John Bragg Hwy. on Satrurday, Nov. 14 beginning at 7 a.m. Breakfast cost is $6.00 per person. HAM BREAKFAST: Planned Saturday, Nov. 7 6-10 a.m. at the Short Mountain Elementary School. Sponsored by the Short Mountain Fire Department. We will raffle off a rocking chair. Tickets 3 for $1.00. Adults $6.00. Children under 6 $2.50. Proceeds go towards purchase of needed equipment. AMIGOS TO BE HONORED: The Tennessee Amigos will be honored at halftime of the Tennessee Lady Vols/Delta State basketball game at Thompson-Boling Arena on Monday, November 9, 2009 at 7:00 p.m. est. The Tennessee Amigos 65+ basketball team recently won the Gold Medal at the National Senior Games played at Stanford University in Palo Alto, California. Anyone with interest in attending this event can call Mary Kelly at 931-261-7874. ‘TIS THE SEASON: The 4th Annual Coat and Toy Drive for the Children, sponsored by Cash Express, is now underway. Once again you have the opportunity to be a blessing to someone else. Cash Express invites you to join with us in the celebration of giving. We are pairing up with our local public servants to become a blessing to the families in our community. We will be accepting toys, coats, shoes (washable) and non perishable food items in many drop off locations in the area. We ask that all donations be received by December 15 in order to have them delivered in time for Christmas.